At the core of Ad 2 is our dedication to giving back and making a difference in the Dallas community. Every year, our pro bono advertising agency, Element Ad 2, partners with one deserving nonprofit organization to produce and execute a fully-integrated advertising campaign. The best part? We do it all for free! If you’d like to join Element Ad 2, click here to get connected with our creative team. Our team of passionate and creative young professionals can’t wait to meet you, and discover what you can bring to the table. We’ve all seen the typical domestic violence ad that tells a very depressing, and often graphic, story of abuse. But when the story ends, are people ever motivated to actually do something about it? Or better yet, do they even know how to do something about it? This is where Genesis comes in. We want to go beyond shedding light on the problem and actually point people to a solution. allowing them to be her first step toward a better life. Element Ad 2 created :30 and :15 second TV spots, static and animated out of home billboards, and social to drive viewers to the Genesis website landing page and blog to further educate themselves about domestic violence. 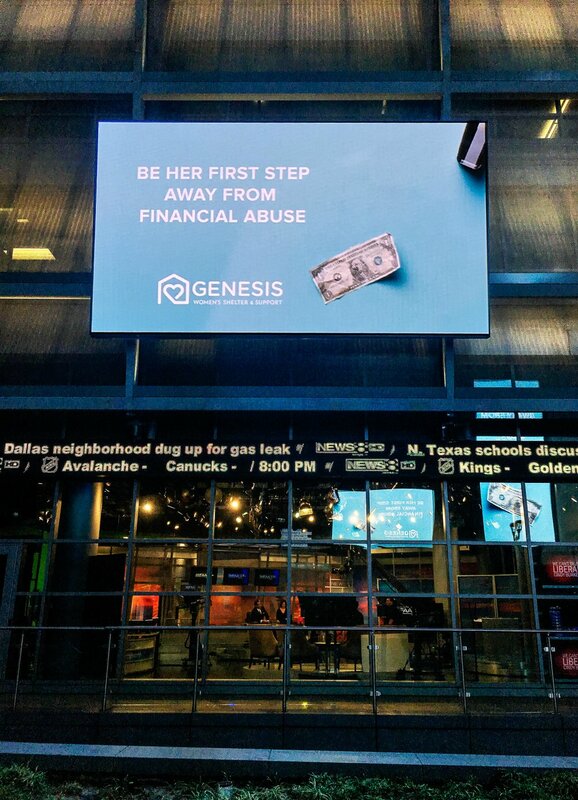 Visit genesisshelter.org to read the blog or go to the campaign page to learn how you can be her first step. Our 30' and 15' TV spot's goal was to brake the stereotype that Domestic Violence is just bruises and black eyes. of our friends, Lucky 21 and Lucky Post. 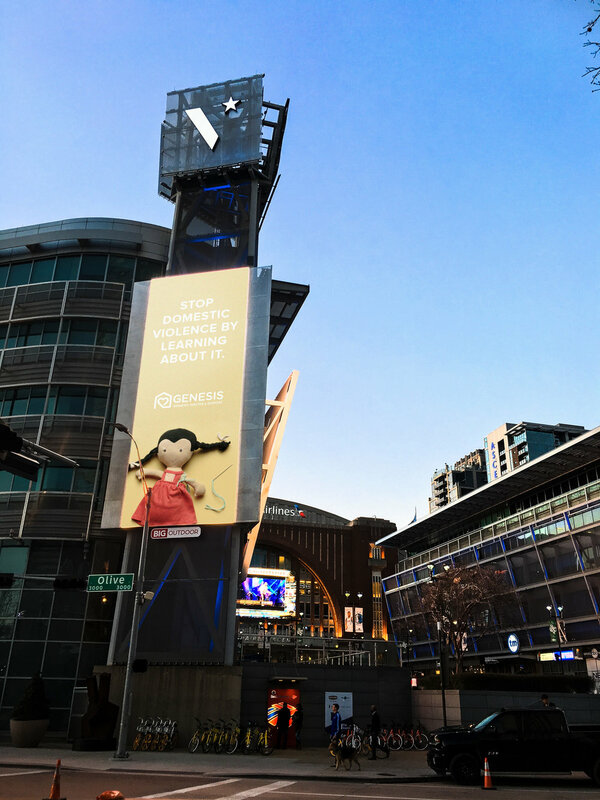 We made 3 animated billboards that ran in Victory Park Spring of 2018 to further our message about the different types of domestic abuse. After all, it's not just physical. It can be emotional or financial.